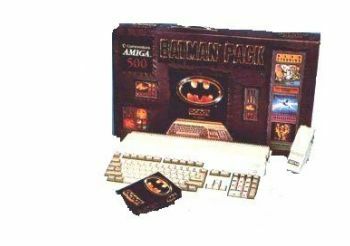 This Amiga 500 Batman Pack includes:* Keyboard. * Power Supply. * Cables. * Mouse. * Modulator. * A2000/500 Amiga Basic English Manual. * Enhancer Software Manual. * A500 User's Manual. 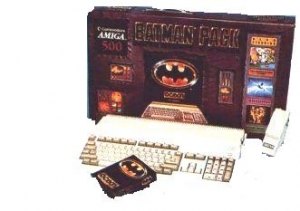 * Batman Game (Instructions included.) * Deluxe Paint II (Manual Included.) * The New Zealand Story (Instructions included.) * Amiga Workbench 1.3.2 UK.Disc. * Amiga Extras 1.3, Amiga Basic 1.2 International. Disc. * The Very First English Version. Disc. * Virus Killer Disc. Interceptor Game is NOT included. Boxed in very good condition.